This is the public profile of Katerina Semenko, Additional information and high-resolution images are available for accredited press members, to access additional information about Katerina Semenko please login as a press member. 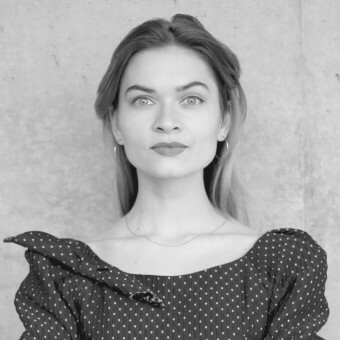 About Katerina Semenko : Katerina Semenko utilizes innovative transdisciplinarity approach for emotionally appealing and problem-solving design. She develops two main brunches of design service that are reflected in the slogan "Save soul and protect body". The first direction "to save soul" means designing projects that encourage people for passionate living through humanistic ideas implemented into products. The other direction of her work is projects that aim to solve real-life problems ranging from ecological to life-saving issues and they refer to the second part of the slogan "to protect body". Katerina produces creative design and concept development for industrial, fashion and environmental design. Design & Design International Award, 18 works awarded, France (2009 - 2014nati). 1st Prize, Design Debut Competition, International Design School, Category: Best Interior Creative Solution, Russia (2009). 1st Prize, Space and Future of Humanity, International Movement Youth Time and Russian Space Agency ROSCOSMOS, Czech Republic (2011). 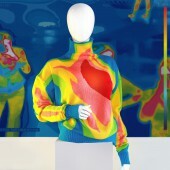 2nd Prize, James Dayson Award for inventors, National Winner, Great Britain/Russia (2012). Press Members: Request an exclusive interview with Katerina Semenko.